This is a preview, so will contain only light spoilers. 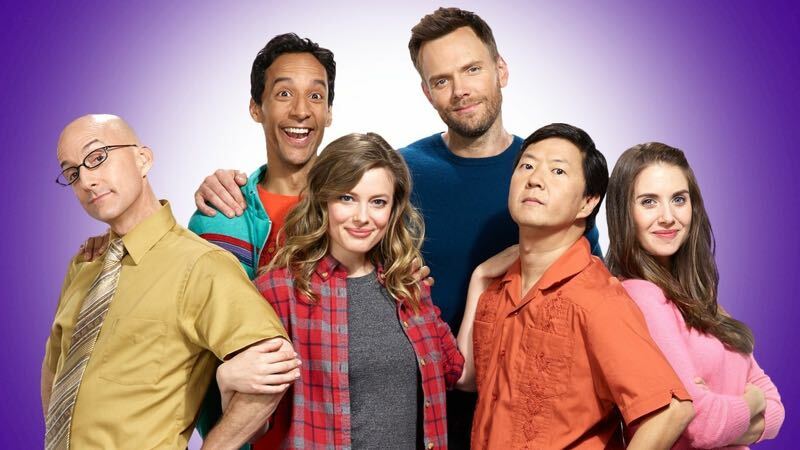 COMMUNITY, formerly of NBC, finally gets its sixth season as foretold in the prophetic hashtag #sixseasonsandamovie this week on Yahoo Screen. Two episodes premiere on the online video service, “LAdders” and “Lawnmower Maintenance & Postnatal Care.” A number of things have changed for the sitcom, but essentially, it’s still the same show fans know and love. What I mean by that is, while some the cast has rotated out, leaving voids in the theme song and our hearts, the setting is still the same old Greendale. Shirley (Yvette Nicole Brown) may have departed, but her sandwich shop lives on, and her absence is adequately explained in the first episode back. Hickey (Jonathan Banks) and Duncan (John Oliver) get less of a firm send-off, but the latter especially has always drifted in and out of the series, so while neither appears or is mentioned in this first week, there’s always the chance they could show up later, and the sharp-eyed will see a hint of that for one. These three, along with Pierce and Troy, are replaced with a couple of new faces. “Ladders” introduces viewers to Frankie Dart (Paget Brewster, Criminal Minds), a new administrator that The Dean (Jim Rash) hires to work with the Save Greendale Committee. Frankie is, at first glance, an older, less quirky version of Annie (Alison Brie), but she’s also a bit more than that. 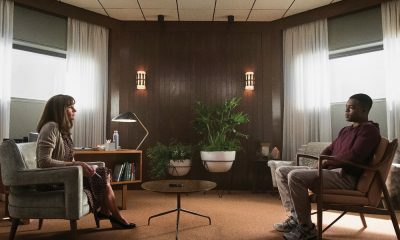 COMMUNITY is bizarre and that’s its strength, but having a level-headed person who is not opposed to the oddness strikes a new dynamic in the cast. I’m a little sad Brewster doesn’t reprise her previous role on the show, but glad she returns, and being honest, Frankie is probably more interesting in the long-run than her techie. The second addition, Elroy Patashnik (Keith David, Enlisted, Platoon), doesn’t show up until “Lawnmower,” but feels more like a traditional COMMUNITY role. Elroy is a weird genius, which seems a perfect fit to the gang. He brings life experience and plugs a generational hole, while at the same time coming in as a newbie who is open to possibilities. 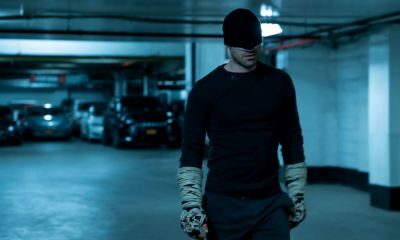 I’m not sure yet exactly what his role will be this season, as his first appearance is more as a guest star than a central lead, but I look forward to finding out. Lest one wonder what Yahoo has done different with COMMUNITY than NBC, I’m not sure any of the changes made are because of the new platform. 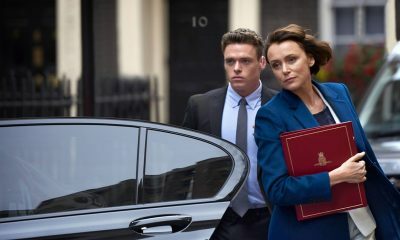 If anything, the budget seems increased, with more exteriors and new sets than we’re used to seeing. The same recurring players are glimpsed in multiple scenes. The offbeat sense of humor is present, with some inexplicable and ridiculous plot points and jokes. Abed (Danny Pudi) still thinks of the world as a television show. Change is a major theme, though, and I think that’s because of necessity. With so many of the original group gone and some cast members no longer being students, there will be a different vibe. Greendale has barely hung on, and while the Save Greendale Committee has done much to ensure the institution’s future, it does feel like we’re building towards a major conclusion. I’m not anxious to see a beloved favorite like this series end, but should these thirteen episodes tee up a movie with much finality, I won’t complain, as long as everyone returns for the end. As mentioned, there is a lot of weirdness, as usual. The second half hour reveals a major conspiracy happening right under one of our main character’s noses these past six years. It’s quite a secret, but one that proves COMMUNITY has not lost its touch, tying things together and shifting perspective. It’s this sort of thing that makes me comfortable in saying I expect COMMUNITY season six to be every bit as good as season five, even remaining a little more somber and grounded than the first few years. Oh, and the stinger of the premiere is not yet released, even to press, so I’m guessing they’ll be something really good there. 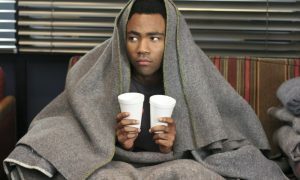 COMMUNITY launches its first two episodes of season six this Tuesday exclusively on Yahoo Screen.